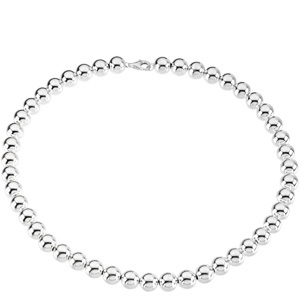 This polished sterling silver bead necklace has a fancy lobster clasp. Necklace length: 168n, width: 10mm. Weight: 35.53 grams. Weight: 39.48 grams.